Welcome To The Hendrix Collection! 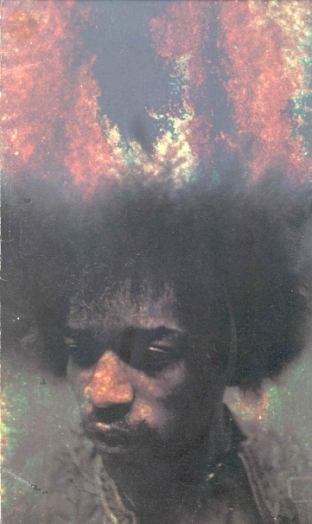 There Are 15 Parts To The Hendrix Collection. Of The Page To Start Your Experience! I've been a Hendrix fan since 1973. I first became "Experienced" in 1973 while in the Navy stationed in Yokosuka, Japan. A group of my shipmates had rented an apartment off base as a place to hang out, listen to music, and smoke dope away from eyes of the Naval Authorities. I'd stop by once in a while to visit but I didn't smoke dope. Whenever I was there, they would inevitably try to get me to "try some" and get high. I never paid much attention to the music that was playing since these guys were into hard rock and I wasn't. Anyway, one time I finally gave in and took a couple of puffs from a hash pipe with some good Thai stick resin in it. I immediately started coughing because the smoke burned my lungs. I coughed and coughed, my eyes watering, and I thought I was gonna die. My shipmates all had a laugh and I finally recovered. But one thing was really different now. THE MUSIC! It sounded great. Music never sounded this good to me before. It was like it was getting to my soul. Hard rock music finally became accessible to me. I asked, "who is this?" 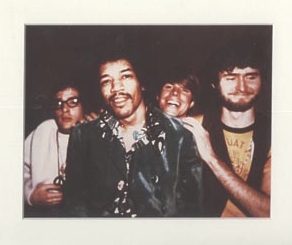 I was told "it's Hendrix." I said, "who's Hendrix?" They said, "Jimi Hendrix, didn't you ever hear of him?" I thought for a minute and then I remembered my younger brother telling me about the Jimi Hendrix Smash Hits album, which he was constantly playing at night while I was trying to sleep. I said, "didn't he have an album called Smash Hits?" They said, "yeah but this is even better, it's his last album before he died called The Band Of Gypsy's." I thought, "man, this is the greatest sounding music I've ever heard. I got to get a copy of this." The next day I went to the Navy Exchange store and bought a copy of the Band Of Gypsy's album and went to the base recreation center to listen to it. It didn't sound as great as it did the night when I was high, but it still grabbed me like nothing else before. I bought the rest of his available albums and thought they were great too. But I was saddened to learn that he had died 3 years earlier. To this day, I'm still pissed that I didn't get into him until after he was dead. Had I known before what I knew now, I could've caught one of his shows. Damn! To me Hendrix is the coolist person I've ever seen or heard. The guy was and is totally unique and was SO FAR AHEAD of everyone else in his music, the way he dressed, his use of guitar effects and studio effects and his creativeness. I just love the man and his music and I can't get enough of it. Everytime I see a new photo of him, it gives me some new insight into who he was and what he was like. Because there is always new audio, video and photos being discovered and released all the time, it's like he's still alive. I hope it never ends because I get so much enjoyment from each new Hendrix item I come across. I just wish I could thank the man for all the hours of pleasure his music has given me. As his grave stone reads, he will always be "FOREVER IN OUR HEARTS."